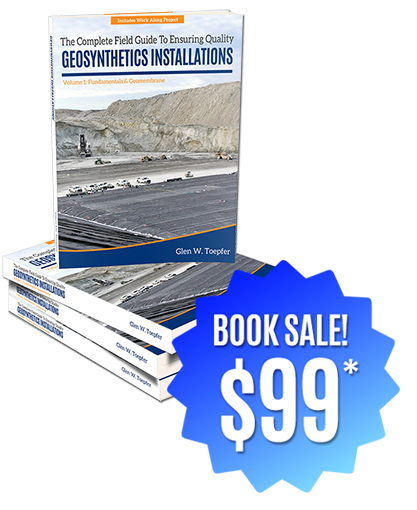 Having received lots of requests for case quantities of The Complete Field Guide to Ensuring Quality Geosynthetics Installations, we’re happy to now offer the book at a special price. For a limited time, buy 20 or more copies and save! (See details below.) Authored by Glen Toepfer of CQA Solutions, Ltd., this field manual reveals the inner workings of geomembrane installations to unparalleled depths, navigating the balance between complex relationships, the rigors of field installation and external influences that ultimately determine the success of the project. Each chapter exposes quality and cost concerns for delivering an installation that provides a rock solid Return on Investment for Site Owners. *Purchase the book at the special price of $99/ea when you buy 20 or more. We will break your purchase into unlimited shipments at no additional charge, to any address in the continental U.S.
Printing and delivery lead times vary, so please call Holly at (419) 269-1800 for details! Glen W. Toepfer, C.E.T. is President of CQA Solutions, LTD a firm specializing in Construction Quality Assurance for containment facilities. His vast industry experience includes more than 50 million square feet of geomembrane QA/QC, including a single installation with 136 million square feet of geosynthetics materials installed with zero leaks. 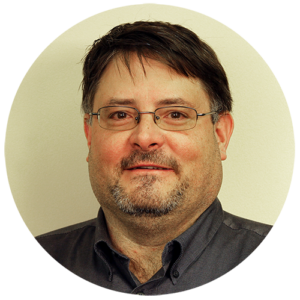 Active in the industry, he authors the blog Uncontained.co, authors and presents industry papers and provides expert witness services and technology solutions. To ensure quality worldwide, he has designed SuperTek, the industry’s first real-time data validation QA/QC software system. His passion for waste containment quality has led to proven field protocols and systems that ensure quality on every project.